Ready to start? it’s very easy! Firstly we’ll send you a contract to sign. Once you have returned it we need you to confirm a few details about the initial set-up of your account and we require an electronic copy of your company logo and your letterhead for us to include on the system produced documents. Within 48 hours your account will be set-up. 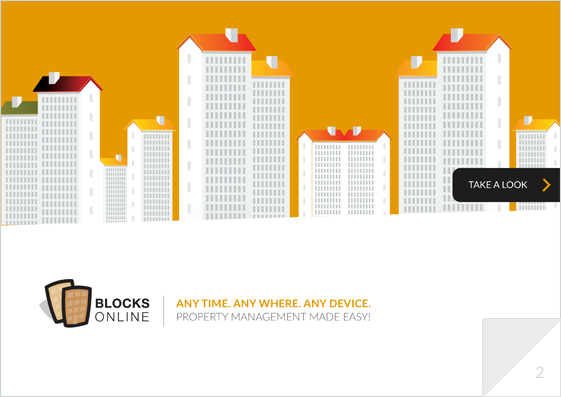 You are then ready to load information about your blocks and start to manage them using the Blocks Online service. DO I HAVE TO BUY ANY NEW EQUIPMENT? Many software companies will provide their software on a disk. You may then have to invest in a server to run the software and you may also need to pay for consultancy staff to set everything up for you. Since Blocks Online is delivered over the internet you don’t need to worry about this. As long as you have internet access you are ready to go, whether you are working from home or from the office you will not have to buy any new equipment. DO I HAVE TO PAY EXTRA FOR MORE EMPLOYEES TO USE THE SYSTEM? Many software companies charge you based on the number of employees you have. The costs might appear attractive if you only want two or three employees to use the software, but you often have to pay a hefty price if you want all of your employees to have access. At Blocks Online you pay a single monthly figure, regardless of how many staff access the software. And you pay the same fixed amount if your staff are located in different offices … this is not always the case with our competitors. HOW EASY IS THE SYSTEM TO USE? HOW MUCH IS TRAINING? Some of our competitors offer solutions that are incredibly flexible, meeting the needs of many different types of companies, using different languages and different currencies. This ‘sophistication’ can be very confusing for staff and require them to attend extensive training courses before they can get started, all of which costs you more money. 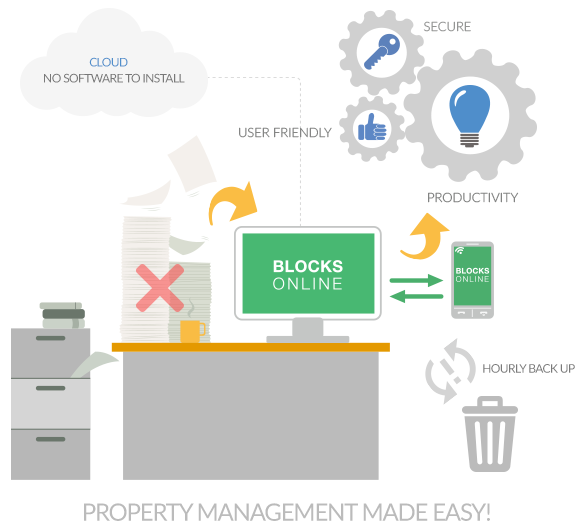 At Blocks Online, our software has been developed in the UK, specifically for Managing Agents in the UK. It is easy to use and most users can be up and running with only limited guidance. At Blocks Online all of your critical data in your business is backed-up and saved on the cloud. We take a back-up of your data every hour and separate back-ups every day and every month. You do not have to worry about someone spilling a cup of coffee on the company’s server and losing all of your records! With many of our competitors you can’t start until you have spent a lot of money – An upfront licence fee, new equipment, paying consultants to install and configure the software, and training courses … all before you start to load your first block! With Blocks Online you simply pay your first month’s subscription and start to use the system. We obviously hope that you are very happy with our service when you choose Blocks Online. But if you are not entirely satisfied with your choice, for whatever reason, then you can terminate our contract with just one month’s notice.